Paying a few hundred dollars to cover an ETF has been done, but Sprint's new offer goes a little further. Starting today, the nation's (maybe) smallest carrier will pay "all" the costs associated with moving your number to Sprint, no matter what is owed. They are apparently serious because ctrl+f "$" returns zero results. The limited time program is similar to past ETF reimbursements. 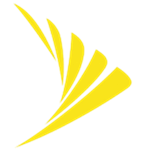 After you port a number from another carrier, you need to trade in a phone associated with that number to Sprint. Next, upload a copy of your final bill from the previous carrier with the applicable charges. This can be an ETF, or more interestingly, the balance due on a device installment plan. That can be a lot of money if you only got a phone recently. Sprint says it'll cover it all. After everything is processed, you'll get an American Express pre-paid card with the value attached. The only caveat appears to be that you must sign up for Easy Pay, iPhone for Life, Sprint Lease, or buy a phone at full retail price. This includes a credit check, though. This change is probably directed at T-Mobile, which allows people to finance multiple phones at 0% interest and has been hitting Sprint hard lately.